Dark modes have been added to apps more and more over the past few years, leading to many wishing that Apple would add a system-wide dark mode to iOS as whole. This is now something that is perennially rumored to be part of every big iOS release, but so far it simply has not really materialized. 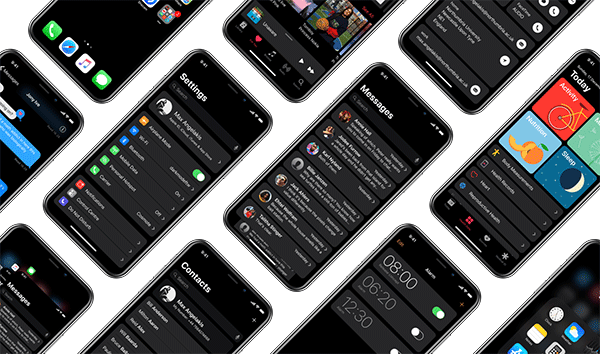 That has not stopped a British student from putting together a set of concept images showing just what a well thought out dark mode could look like on an iPhone. With the iPhone X now sporting an OLED display, it arguably makes more sense than ever that Apple would include a bona fide dark mode in iOS, but that hasn’t happened as yet. This set of concept images, created by Northumbria University student Maximos Angelakis, shows why that is a mistake. 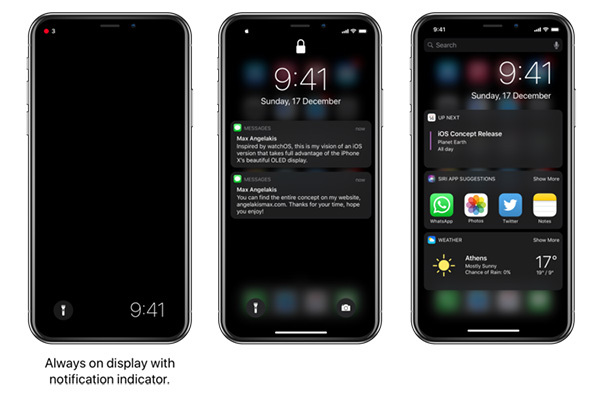 According to Angelakis, the concept was inspired by watchOS, which uses black wallpapers to save power thanks to its own OLED display that, like all displays of its type, does not use power when displaying a black image. An iPhone X sporting a dark mode could see similar power saving benefits, with Angelaki including an always-on clock and notification indicator that could be made possible thanks to the lack of power required. 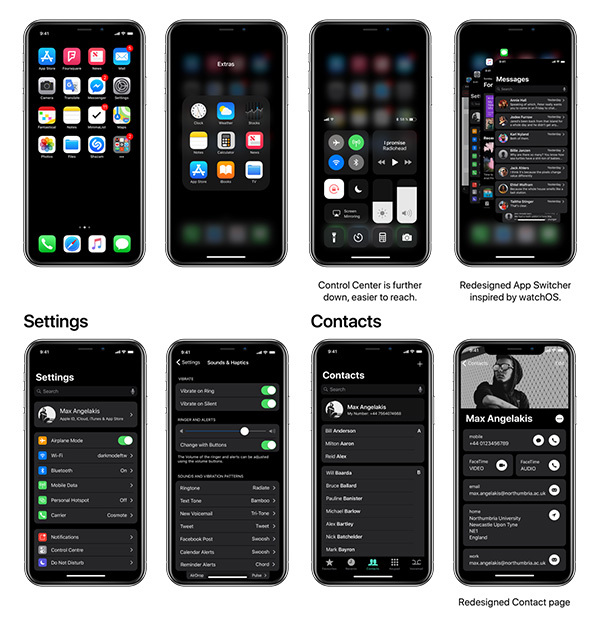 The concept images shared include the Home screen, Control Center, the App Switcher and a host of stock Apple apps such as Mail, App Store, and Messages. The whole collection looks great and while I may not necessarily be a big fan of dark modes in general, there is no denying the fact that this looks pretty cool indeed. Would I use it? Maybe not, but I have to take my hat off to Angelakis – whether Apple will agree, however, is anyone’s guess. Love it, this is almost what I have run on my iPhone 7+ jet black. Black on black is always my choice. Looks simply beautiful. If apple loves these three words, so they should adopt this style. Hence yet another need for the iOS jailbreak. That is a great concept that is being shown, but many concepts never make it to a rollout.